CHICAGO (KGO) -- Chicago Cubs fans have a lot of faith. 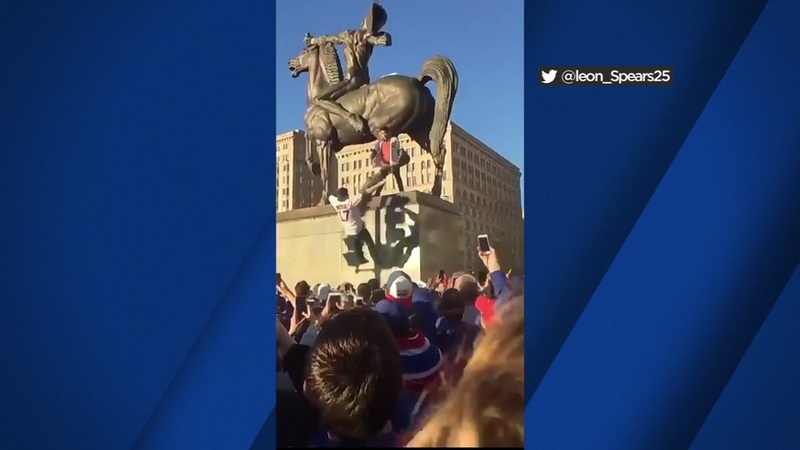 As millions of people celebrated the Cubs first World Series win in 108 years Friday, a couple of brave, or perhaps foolish, fans did trust falls into the crowd from an 18-foot statue. One of several videos of this were posted on social media. Another one shows a young man falling backwards off the top of a traffic light.